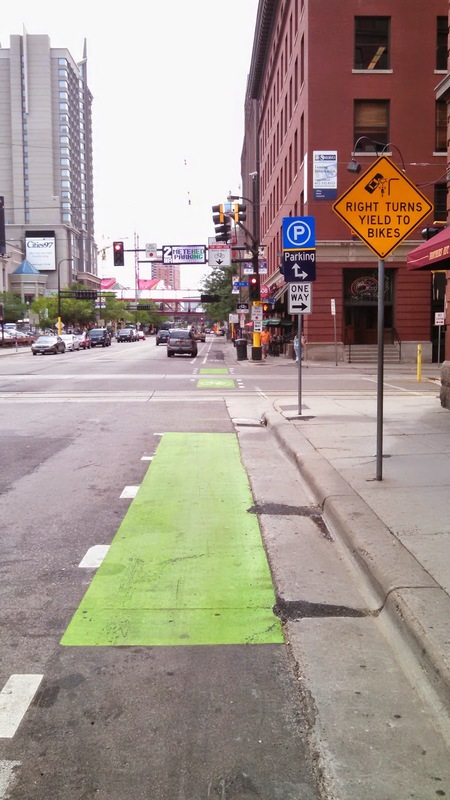 The cycletrack on 1st Avenue North was a part of a one way to two way conversion in Minneapolis on the edge of downtown. The curb side cycletrack provides protection from the traffic on the street. The first photos shows some of the trucks that the protection offers. I found a quick note about the quality the street provides on this blog that includes a criticism of Jeff Speck's book advocating for having people on bikes share space. Overall, I think the answer depends on the network. 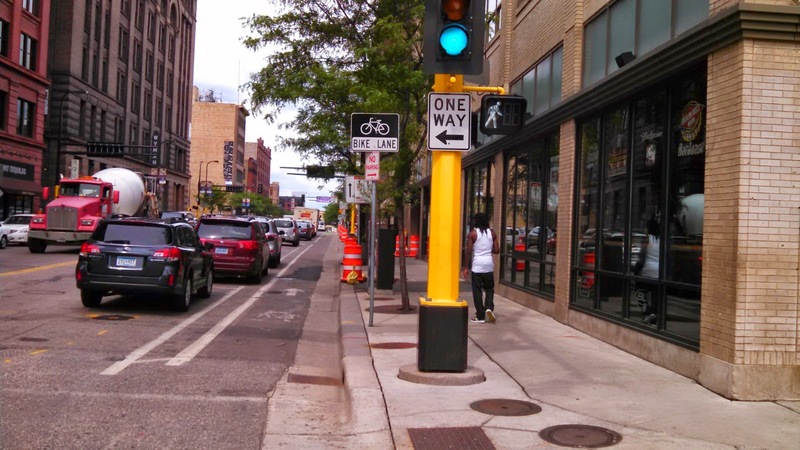 There should be an opportunity for people biking to access the downtown, but the increased width of a street raises questions for how well the urban environment works to manage speeds. A concrete truck is coming in the opposite drection. Bicycle messengers are not the primary design vehicle for this type of a facility. The lane use signs on the side street help people with the parking restrictions. The person on the bike has really pointy elbows and some sort of pom pom in from of them to cushion them from the car angled in front of them. Use of green continues through the intersection to mark the conflict area. 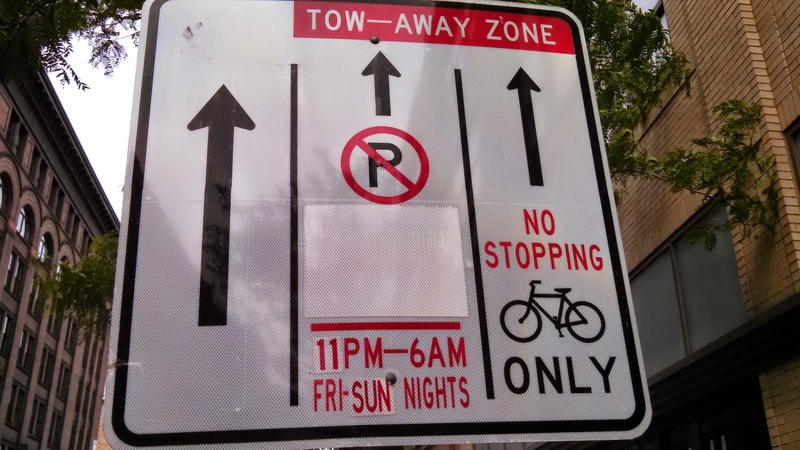 To increase parking compliance and improve the facility for all users the “shy zone,” or buffer between the bike lane and parking was increased to 2 ft. This change has provided more space for bicyclists, improved accessibility for pedestrians and persons with disabilities, and increased parking compliance. From 2009 to 2011 parking compliance increased from 94% to over 98%. 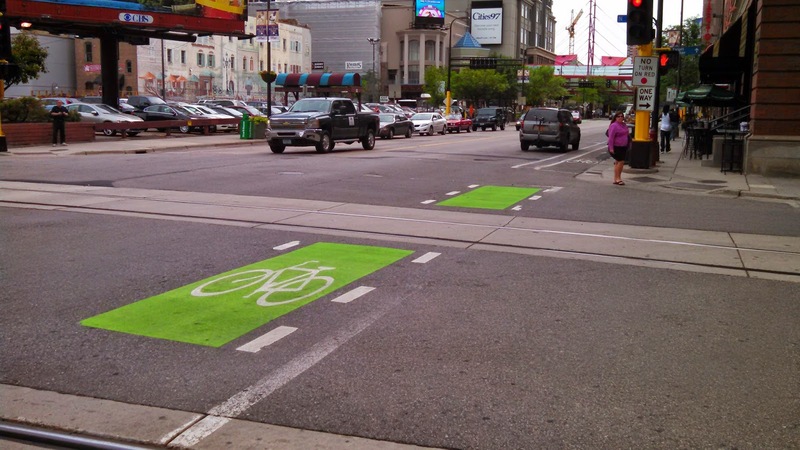 Bicycle traffic has also increased with these changes. 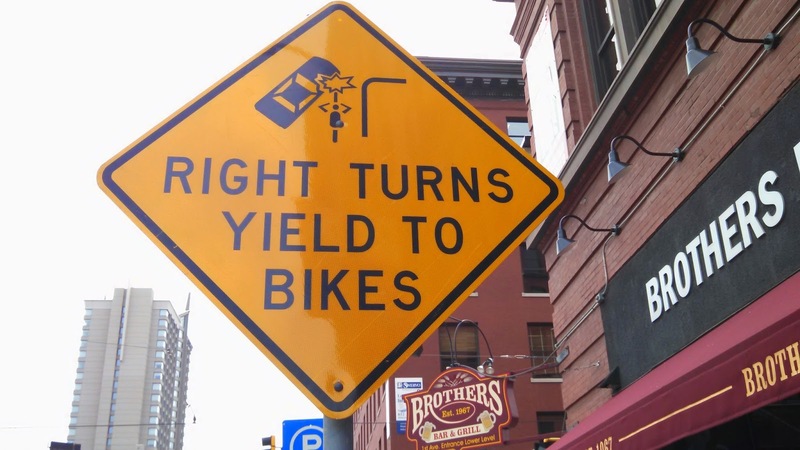 From 2009-2010, bike counts increased from 240 to 580 trips per day. 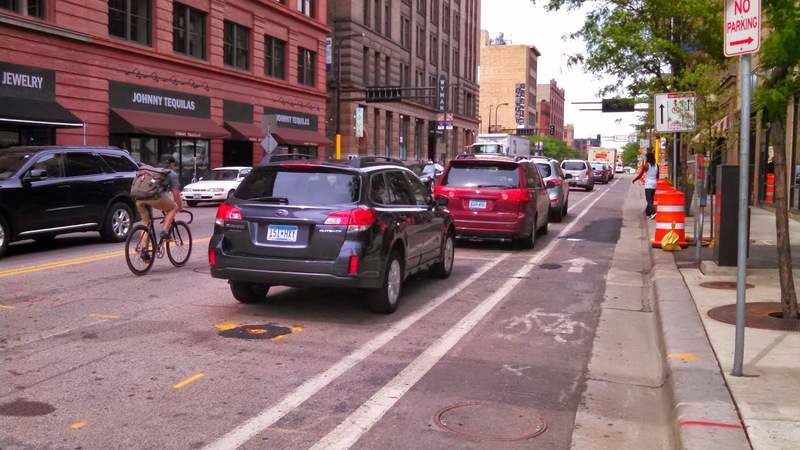 With the recent refinements, Public Works is confident that this number will rise as 1st Avenue will becomes a major route for bicyclists traveling in and through downtown.